Chiropractic care focuses on the joints of the spine, to allow for natural healing. As a chiropractor, Dr Green’s goal is to discover the source of the pain, correct the problem and help prevent the possibility of future painful, disabling episodes. 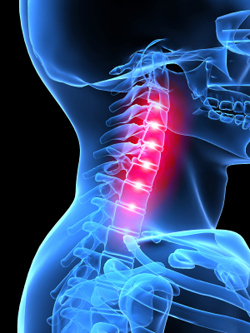 The nervous system controls all of the body’s functions, and depends on the vertebrae in your spine to protect it. When the joints of your spine fail to move correctly, they can prohibit optimal operation of the nervous system, which can lead to pain and various physical problems, such as degenerative changes in the spine and an increase risk for future spinal related problems. Chiropractic treatments are incredibly safe—actually, they’re one of the safest kinds of medical care available. And Dr Green has studied extensively to fully understand the body’s systems. The chiropractic-training program is comparable to the program of study for medical doctors. Dr. Green continues to study sports and dance related injuries with a particular interest in spinal rehabilitation and self care. According to the American Chiropractic Association, more than 30 million people visited doctors of chiropractic last year for a variety of conditions, and more and more medical doctors are referring their patients to doctors of chiropractic. In addition to preventative and wellness care, chiropractic can be used to treat, headaches, lower back pain, fibromyalgia, neck and shoulder pain, numbness, leg pain, scoliosis, and other health issues.